Borislav Sandov. Personal archive photo, used with permission. In February 2016 Bulgarian eco-activist Borislav Sandov was convicted of “insulting” the director of a copper mining company in a Facebook status update, after he published allegations that the mine had poisoned the waters around the Bulgarian city of Panagyurishte. The case has drawn attention to the potential fragility of political speech and freedom of expression in Bulgaria. The trial for the next instance is set for May 30. 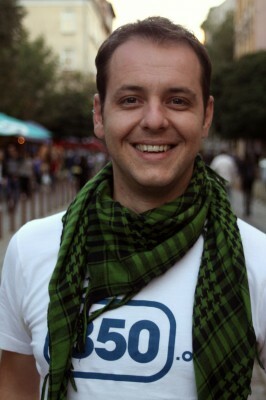 Borislav Sandov is known in Bulgaria for his leading role in key environmental protests in recent years. Sandov, who is also a scientist and a member of the Bulgarian political movement known as The Greens, published a post on his Facebook page in which he called Lachezar Tsotskorkov, the executive director of one of the biggest mining companies in Bulgaria, a “poisoner oligarch.” The post goes on to explain what he describes as a “legal saga” between The Greens and the company, which is called Asarel Medet. The post prompted Tsotsorkov to sue Sandov for insult and defamation. He has accused Sandov of disgracing his name. 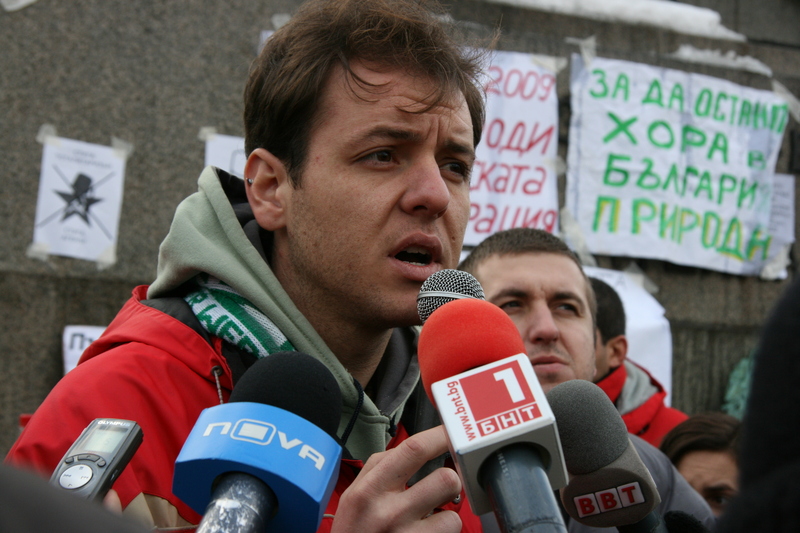 In February, the Bulgarian court of the city of Panagyurishte ruled that Sandov had not committed an act of defamation but was guilty of insult. The Bulgarian daily Capital quoted Sandov’s lawyer Kalin Angelov after issuing the verdict in the first instance. Борислав Сандов беше оправдан по повдигнатите срещу него обвинения за клевета, а именно – че през 2014, мината на г-н Цоцорков на два пъти е отравяла водите на реките около Панагюрище. Съдът прие, че към момента на писането на статуса, е имало достатъчно основания да се смята, че това е било така. Смятам това за успех”. Borislav Sandov was found innocent of accusations against him for defamation and in specific – that in 2014 Tsotsorkov’s mine twice has poisoned the waters around the Bulgarian city of Panagyurishte. The court concluded that at the moment of writing the status, there had been enough grounds for one to think he was correct. I think this is a success”. Г-н Цоцорков се е обидил чрез своята ПР служителка. Именно тя е следяла профила на г-н Сандов и именно тя е преценила кое е обидно и кое не. Това опосредено “обиждане” е стряскащото в присъдата. Tsotsorkov was insulted by his PR employee who has followed the Facebook profile of Sandov and she evaluated which content was “insulting” and which was not. This mediated “insulting” is also dismaying in the sentence. Sandov suggested that the suit may have been filed in an act of revenge. Previously, he and fellow Green party members led research and legal battles surrounding Tsotsorkov's alleged intentions to make investments that could double the size of the Asarel Medet. The mining mogul lost these challenges in three instances. Borislav Sandov (on the right) during eco protests. Personal archive photo, used with permission. Capital Daily also quoted Boyko Boev, Bulgarian media law expert based in London, who said that “persons participating in events in the public interest may expect reactions on the Internet in relation to their deeds.” He was also quoted explaining that determining the defendant's motive is also a factor in defamation cases. If the statement is related to the professional activity of a person, with the good-will goal to help society, then there should be a higher degree of tolerance by the court. 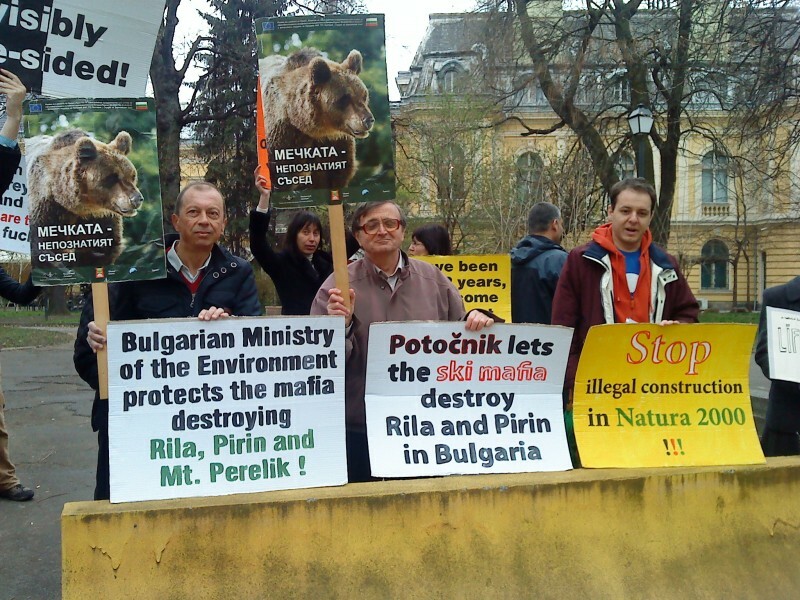 One can assume that this level of tolerance should be applied the case of Borislav Sandov, who most agree is speaking out about a topic of public interest, as it concerns natural environment and public health. “Не е ненормално да има дела, които са предмет на публикации във Facebook.Законът никъде не казва, че Facebok е място, където всеки може да пише каквото си иска”. It is not abnormal to see trials centered around messages posted on Facebook. The law does not state anywhere that Facebook is a place where anyone can write whatever he or she wants. According to the Bulgarian criminal code, defamation or insult may be distributed via print media “or other means.” Social media in this case are considered to fall into the latter category. Capital reminded readers that in 2014 a woman was ordered to pay a fine of EUR 1.200 and two compensations of over EUR 3700 over allegedly defamatory messages that she posted on Facebook. The woman in the case had posted a message on Facebook in which she accused her former employer of incorrect behavior. We are talking about public figures about whom one is allowed to be sharp in terms of speech. Interfering with freedom of expression is an act that relates to political speech. Political speech according to the practice of European Court of Human Rights is constituted by important public debates in the contemporary society in the largest sense, including in relation to the preservation of the environment, protection of animals, for healthy way of life [ECHR, VGT v. Switzerland, Application no. 24699/94]. Политическото слово има най-висока степен на защита според международните стандарти и може да бъде ограничено на много малък брой основания, свързани с демократичните принципи на управление и с ценностите на демократичните общества. Political speech has the highest level of protection according to international standards and it can be limited to a very few number of arguments, related to the democratic principles of government and the values of democratic societies. In the same article analyzing Sandov's case, Capital Daily says that in some countries the judiciary system is already keeping apace with new developments in technology. In the UK for example, the prosecutor's office has received instructions on how to handle trials that are related to public interest issues as they are impacted in online speech, such as cases related to a danger to public security. While clarifying whether such cases could occur in future, Sandov is now awaiting his next court hearing.